All newly issued passports include a RFID chip with personal information must be protected. Great creativity RFID blocking passport sleeves will block RFID theft to remotely scan your passport’s chip, effectively protecting your identity and important personal information. 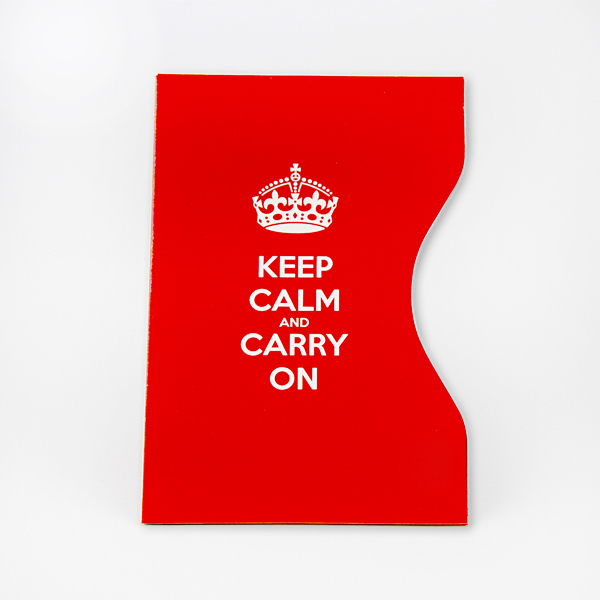 Just slip your passport into RFID passport sleeve, throw it in your bag, then you can enjoy your travel, never mind that someone may be trying to steal your personal information. These type RFID blocking passport sleeves are made of 182gsm thin coated paper with aluminum foil inside. 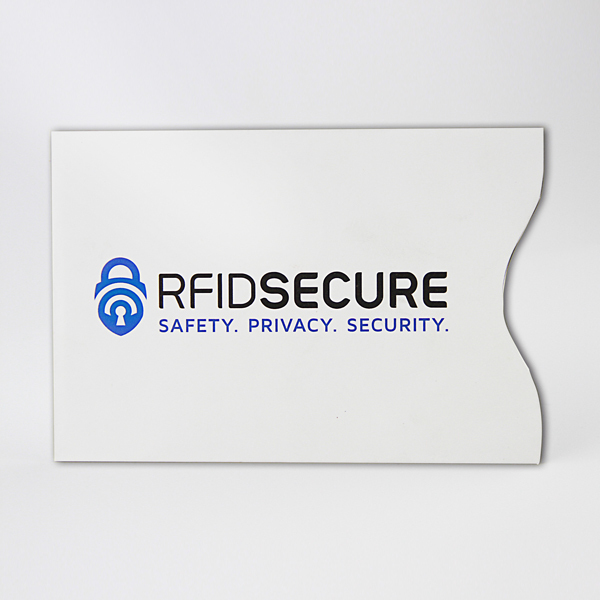 182gsm type RFID sleeves are thinner, softer, more flexible and lightweight than market standard 275gsm type. With so lightweight RFID blocking passport sleeve, you will get rid of heavy bag and enjoy your travel. The rfid blocking passport sleeves are equipped with advanced RFID blocking technology, a unique metal composite, which will block RFID theft to remotely scan your RFID chip, effectively protecting your identity and important personal information. RFID passport sleeves Shields RFID LF 125 kHz, HF 13.56 MHz and UHF 860-920 MHz with protocol ISO18000-2, ISO14443A, ISO15693, ISO18000-6C/ EPC GEN2 to STOP RFID SCANNING for all new contact-less RFID Cards and Passports. Electromagnetic Shielding, Water Resistant also add the durability. All our RFID blocking sleeves can be customized per your detail requirements for printing, color, package etc. Sleeve surface can be matt finish or glossy finish. Also for 1 order, you can make 1 design with different color to make your RFID sleeves more attractive. Shenzhen Chuangxinjia Smart Card Co., Ltd. is China’s leading major smart card manufacturer, with more than 15 years of production experience. With a group of professional card system personnel, advanced production equipment, and sales team, providing our customers with quality products and good service. Since it established, product sales throughout the country and around the world. Our big clients include Sony, Samsung, OPPO, British Telecom, Coca Cola, etc.